Later this week there are two events happening that could use your support and are a lot of fun to attend. 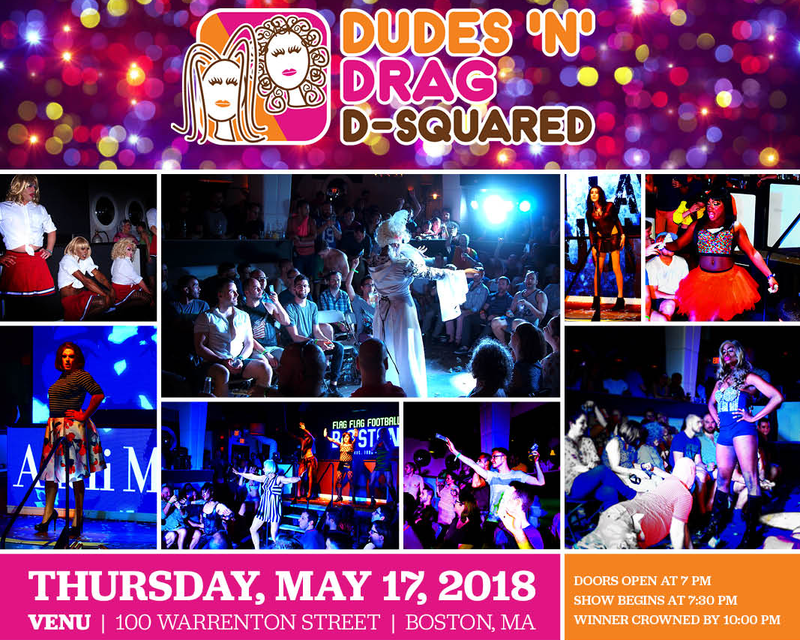 The first event is on Thursday at Venu Boston and called DUDE ‘N’ DRAG D-SQUARED. The program includes FLAG Flag Football fundraiser to benefit the league’s tournament teams. The next evening Boston’s Ironsides Rugby club is hosting their fundraiser at Club Cafe on Friday starting at 7PM. I’ve attended this event a few times in the past and enjoy watching these (many for the first time) try their hand at lip syncing in heels. 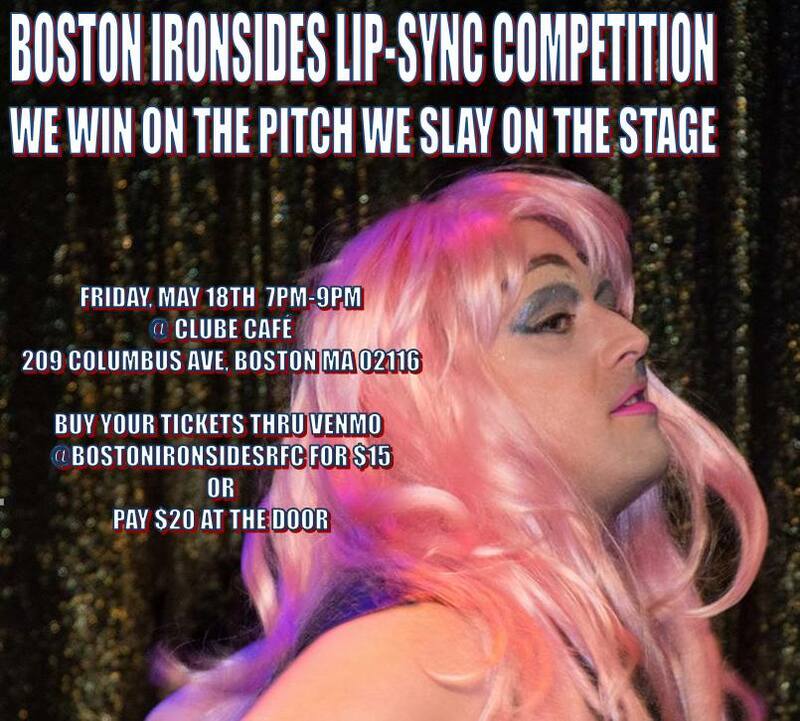 More information is available online at the Boston Ironsides Lip-Sync Competition Facebook page. Come out and show your love for these two great sports leagues / clubs and cheer on your friends in heels while they lip sync some of your favorite songs.